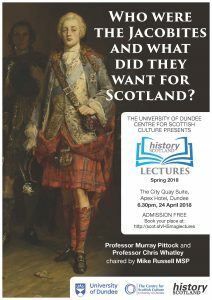 The inaugural entry in The History Scotland Lectures was a debate between Professor Murray Pittock (University of Glasgow) and Professor Christopher Whatley (University of Dundee) on ‘Who were the Jacobites and what did they want for Scotland?’. Professors Whatley and Pittock are two of Scotland’s leading experts on the 18th century, and in this debate they discussed the nature of Jacobitism and the movement’s thinking on Scotland and Britain. 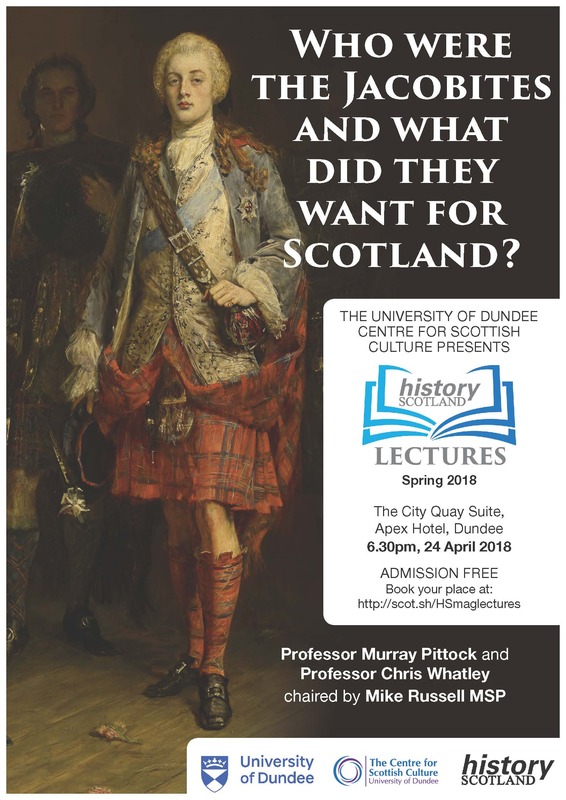 The lecture took place at the Apex Hotel in Dundee on Tuesday 24 April 2018. A video archive of this and subsequent lectures can be found on The History Scotland lectures page of this site.